Leroy starts projects that shape society; in 1989, burdened by the plight of Philadelphia’s homeless, he and his wife Donna founded Restoration Ministries, to serve homeless families and children living on the streets. In 1994 he became Director of Internship Programs at Cornerstone Christian Academy. Leroy was licensed and ordained at Mt Zion Baptist Church where he served as Youth Director with Donna, and also served as Associate Minister of Evangelism. In 1997, he joined FCS Urban Ministries, working with Atlanta Youth Project to serve as the founding Executive Director of Atlanta Youth Academies, a private elementary school providing quality Christian education for low-income families in the inner city. Leroy also helped found DOOR Atlanta, Community Life Church, South Atlanta Marketplace, and Community Grounds Coffee shop in Atlanta, as well as Green My Hood and The Voices Project. 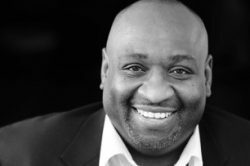 Leroy is the Co-Founder and Director of the Voices Project and College Pastor at Kilns College. Rev. Barber is on the boards of The Simple Way, Missio Alliance, The Evangelical Environmental Network (EEN), and the Christian Community Development Association (CCDA). He was a contributing author to Tending to Eden, by Scott Sabin (2010, Judson Press), and the groundbreaking book UnChristian: What a New Generation Thinks About Christianity and Why It Matters, by David Kinnaman and Gabe Lyons (2007, Baker Books). Leroy has been married to Donna for the past 30 years and together they have five children.